Preimplantation genetic diagnosis (PGD) also call preimplantation genetic testing (PGT) is a technology-assisted assessment of embryos to test for chromosomal abnormalities that could interfere with a successful pregnancy. Maureen Moomjy, MD, FACOG, located in the Upper East Side of New York City, near Midtown, offers PGD in collaboration with the NYU Langone Fertility Center Embryology Team. Dr. Moomjy has over 20 years of experience in providing fertility treatments and uses PGD/PGT to increase your chances of having a healthy pregnancy and baby. With PGD/PGT information to guide embryo selection, it is possible to have a single embryo transfer with a high success rate and without the twin risk of a two embryo transfer. It is also possible to substantially lower your miscarriage risk and risk of Down Syndrome. Call the office today to schedule a consultation. What is preimplantation genetic diagnosis or testing? PGD/PGT is a procedure that tests embryos made during the in vitro fertilization process prior to the embryo transfer stage. During PGD/PGT, an expert embryologist takes just five to eight cells from the outer cell layer of the day 5 or day 6 embryo; these cells would eventually have become the placenta, and their removal does not harm the embryo. The embryologist sends the cell sample to a lab that specializes in embryonic chromosomal testing. The embryo is frozen immediately after the biopsy to await the final chromosomal report to determine if the embryo has the proper number of chromosomes (euploid) or if there is a chromosomal imbalance (aneuploidy) that would interfere with implantation, or cause a miscarriage, or result in Down Syndrome. Why would I have PGD/PGT? Dr. Moomjy recommends PGD or PGT because it identifies the strongest “euploid” embryos that have the greatest chance of implantation and successful pregnancy. The chromosomal testing reveals embryos that have trisomies or monosomies, which are whole chromosomal imbalances that would prevent them from implanting or result in miscarriage or severe congenital disabilities. 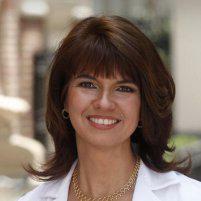 Dr. Moomjy provides customized advice and support throughout the IVF process, including PGD. She wants to help you grow your family, and PGD offers information that can improve your chances of successful IVF treatment. PGT takes place in the middle of the IVF process after your eggs have been fertilized and allowed to develop and multiply for five or six days. An embryologist uses a laser microscope to examine your embryos and remove just five to eight cells from the outer shell for chromosomal analysis. During the analysis, the DNA is replicated and analyzed with the most advanced testing called Next Generation Sequencing. Embryos with 23 pairs of chromosomes are then identified as the most viable for successful implantation. Embryos with extra chromosomes or those that are missing a chromosome will not implant or result in a miscarriage. If you and your partner are carriers for a single gene disorder, the PGT testing process can also include testing for that specific single gene disorder. This is called PGT-M for monogenetic disorders; usually rare severe diseases that have a high negative impact on early development. What are the benefits of PGD/PGT? PGT provides information about your embryos that Dr. Moomjy can use to optimize your chances of a successful pregnancy. Her goal is to help you become pregnant, have a healthy pregnancy, and grow your family. If you have questions about PGT and other fertility treatments, call Dr. Moomjy to schedule a consultation today.